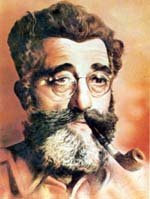 DRAZA "KEPT ALIVE THE FLAME OF LIBERTY"
As a personal friend and one of the world's correspondents, for The New York Times, who wrote first and at great length of Yugoslavia's greatest general and Serbia's most magnificent leader, I am proud and happy to add perhaps a few words that may contribute to the enormous truth and the tremendous legend of World War II's most magnificent hero and legendary 'guerrillissimo' whose valor and daring contributed most to Western Allied victory! 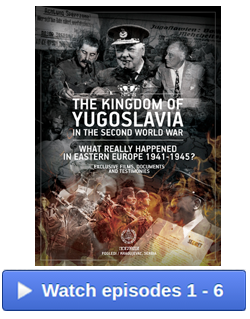 As chief correspondent of The New York Times, first at Belgrade and later with Ankara at GHG - but 'based' throughout the Balkans and Middle East, I had an unparlleled opportunity to 'cover' and report most comprehensively daily, nightly and Sunday on the exploits of Yugoslavia's indomitable war leader. My dispatches in The New York Times speak for themselves in hundreds of thousands of words of 'reportage' upon Mihailovich alone. Above all, he "kept alive the flame of Liberty!" 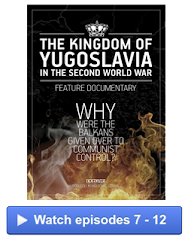 in the bloody Balkans, but, quite as importantly, his sabotage guerrilla war; his dash and daring and dogged determination inspired the entire 'Free World' where the forces of evil, from Berlin and Moscow, threatened total disaster. 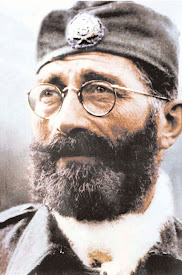 No other single Allied leader combined the cold military courage, the political sagacity and the combination of tactic and strategy which spelled the undoing of Axis forces in Southeastern Europe. No other single C-in-C "inspired" other, less organized guerrilla forces to indomitable resistance. 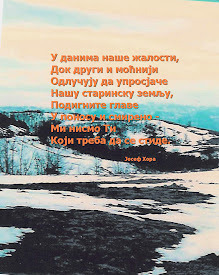 As you know, I wear proudly "The Order of Ravna Gora," from Draza himself, forwarded from his Montenegrin headquarters, and I was in almost constant communication with elements of the "Chetnici" via shortwave radio and via dauntless agents who made the hazardous journeys into and out of the zones of battle. Despite my own newspaper's opposition, I sought constantly to join Mihailovich, personally to report from his GHQ, but was blocked. An actual 'word-count,' -- if it were possible -- probably would show that I wrote more - and more accurately - on Draza Mihailovich, than any other correspondent, in Europe or the Middle East, for years! 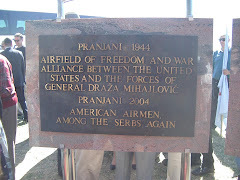 -- for I was in 'constant' touch with bona fide Serb underground, via special agents and, for a time, via Ilija Shumenkovich, Yugoslav "Loyalist" ambassador, his military attache, Col. Milosh Bankovich, who I'd known and known well in 'pre-war' Yugoslavia...and it was a rare night indeed, when my 'broadcast' (via Radio Ankara) to The New York Times did not include the latest--and 'straightest' news from "Inside." 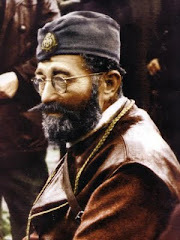 I shall seek to 'summarize' for you, in a paragraph or two, my unlimited, unbound admiration, loyalty, respect and profound love for one of the greatest men of our generation, General Draza Mihailovich of Serbia-Yugoslavia. 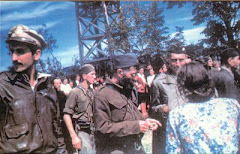 As correspondent at Belgrade and later in Turkey for The New York Times, I 'covered' the incredible resistance movement of 'The Ravnogorskih Trupa' and their nonpareil "guerrillissimo" for almost five years. Through almost incredible and insurmountable difficulties, I managed to keep The New York Times and its millions of readers apprised of the valorous and intrepid guerrilla warfare of Mihailovich and his men, including the rescue and repatriation of 588 USAF fliers. "Operating" at a one-to-ten and even to twenty 'ratio' divisionally, the Chetnici succeeded in the prime objective -- which was the denial to the Reichsmarshal Erwin Rommel in the Western Desert Cyrenaica in Egypt, precious supplies, including tanks, guns, lubricating oil and grease for his 'Tiger' tanks, simultaneously providing the British Eighth Army ('The Desert Rats') with nonpareil Intelligence upon the movement of troops through the Balkans for Greek embarkation to Africa. 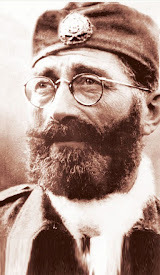 Mihailovich was a master of "the war-of-movement" and "deception," and at his peak period "occupied" and engaged in guerrilla battle more than 18 divisions of Axis troops in Yugoslavia. His tactics were obviously "hit-and-run," and unparralled sabotage of the 'normal,' single-track rail-line through the Morava and Vardar Valleys through Central Serbia. Using plastic explosives dropped by British transport planes, the "Chetniks" quite literally destroyed the "prime" elements of German Tiger Tank shipments at a period when the British were sorely beset -- and before they had entirely developed their later tremendous high-muzzle-velocity artillery which enabled them to "knock out" the "Tigers" on their own. It can be said quite successfully without fear of contradiction that "Mihailovich saved Cairo!" and beyond that, repeatedly "denied" the desperate Germans the precious ammunition they needed for their "Tigers," blowing these munitions to Gehenna in the Morava and Vardar Valleys, usually by plastic explosive charges which derailed ammo' trains at strategic points on the tortuous rail-line. 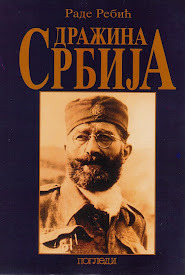 Above and beyond the "tactical" assaults upon Rommel's supply lines, Serbia's superb Intelligence -- literally, almost a "grapevine telegraph," enabled the British to know when the Axis planned major operations in Cyrenaica. Those of us who "knew," know that Mihailovich well and truly was both front and rear guard of the gallant British Eighth Army -- and quite literally, "cost Rommel the Western Desert." 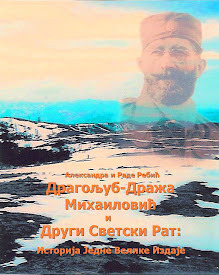 From "Tributes to General Mihailovich"
Commemorating the 25th anniversary year of the uprising against the Nazis and the 20th anniversary year of his death.